A destructive pest insect (to growers of cabbage, kale, brussel sprouts & the like). 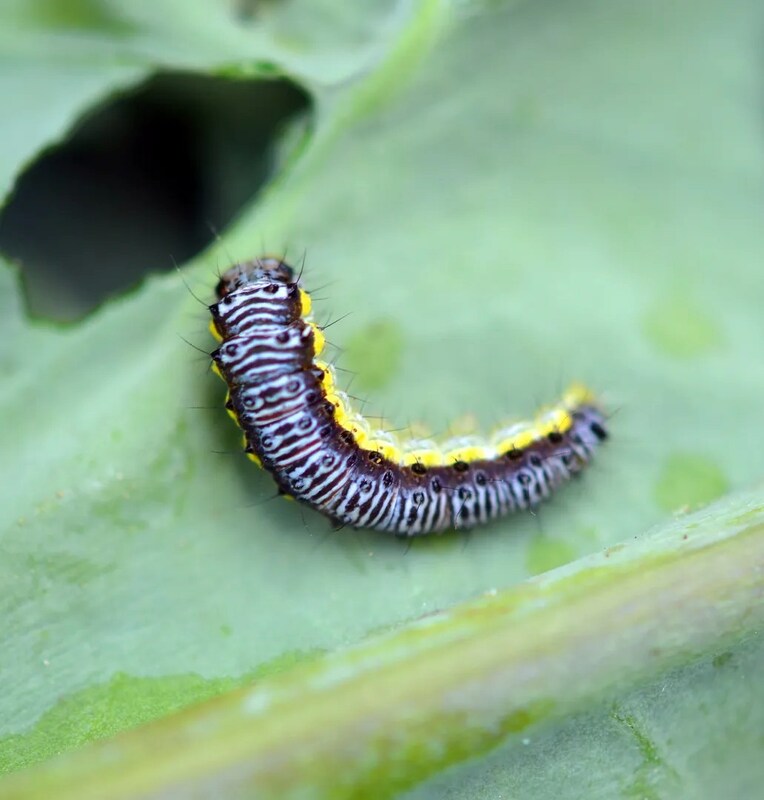 When you see a little white butterfly floating around your garden, carefully inspect any brassica in the ground; chances are eggs have been deposited. Soon gaping holes will appear in leaves and whole sections will disappear literally overnight. Below there will be a large amount of balck frass (aka bug poop). I say a possible culprit because the cabbage looper, a gray and black moth, also deposits eggs on brassicas and more. These are doubly bad in that moths are generally nocturnal (no visual warning system that they are in the area) and the “worms” are virtually invisible on the leaves (small and green). Either way the remedy is hand picking upon discovery of holes & frass, supplemented by regular applications of the organic control BT (Bacillus thuringiensis). This is a bacteria that only affects caterpillars when ingested. The dust version is available under the brand “DiPel” and the liquid concentrate is “Bonide Thuricide”. I like the little butterflies floating over everything as well, but I like my brassicas more…. BT works like a charm and only affects caterpillars that eat it. The butterflies will still be around, if only for one generation. “Thuricide” sounds horrible but it is an organic and quite safe targeted treatment that won’t affect your beneficial insects.